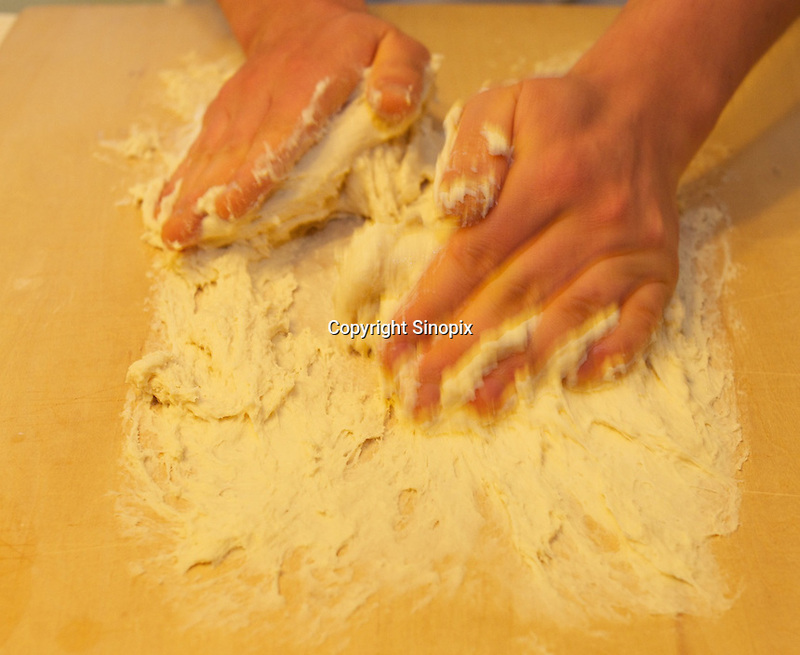 The hands of Japanese baker, Mizuki Taira, 36, in his home bakery called Gateau d'Ange, Kamakura, Japan 09 Feb 11. The the waiting list for his bread is now eight years long. Mizuki Taira, turned to baking after a nasty bicycle accident, as part of his rehabilitation.